A lassi tastes like ice cream before it's been frozen. 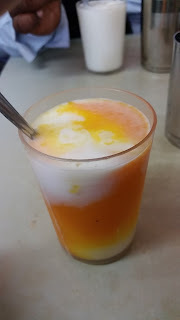 I had this mango one on one of my walking tours of Mumbai. It was fruity and cold and refreshing. If you want to make your own, you can follow the recipe here.